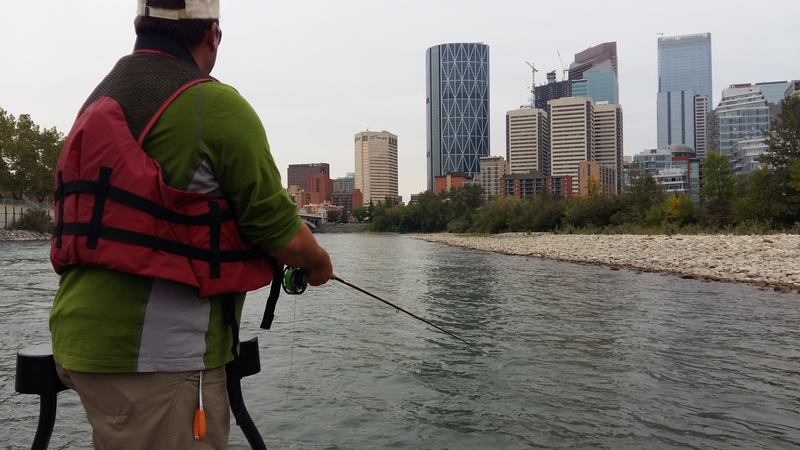 The Calgary River Access Strategy was approved in February 2017 with a $7.66 million commitment to build new and improve river access sites across the Bow and Elbow River. A Priority 1 Development Budget was approved to develop 5 river access sites within two years. The following development update would indicate three of the sites will be constructed in 2019. The roll-out of future river access sites will depend on the current round of Calgary City Council budget debates. August 2017: New gravel overflow parking lot completed and open to public. September 2017: Project allocated to consultant. October 2017: Commenced with initial concept development. November 2017: Finalization of preferred concept. PNSA site assessment complete and initial stakeholder meeting undertaken. January 2018: Completion of 40% detail drawings and Class 4 Cost Estimate. Submitted to Parks for review. May 2018: Scheduled submission of regulatory approval applications. May 2018: Application submitted for Water Act regulatory review. June 2018: Application submitted for Public Lands Act regulatory review. Construction is anticipated by end of Q3 2019. March 2018: Project site under feasibility review. May 2018: Site analysis and conceptual design completed. June 2018: Design solution finalized. July 2018: Application submitted for Water Act regulatory review. July 2018: Application submitted for Public Lands Act regulatory review. October 2017: project allocated to consultant. November 2017: habitat assessment undertaken of riverbank 100m up and downstream of 12th Street Bridge. December 2017: commenced with draft site analysis and feasibility study. January 2018: adjusted project work schedule, milestones for design and regulatory approvals set for 2018; boat ramp construction set for 2019. February 2018: preliminary site design incorporates the 8th Ave. Lane way proposal. Traffic Study scheduled to analyse site access off 12th St. SE. May 2018: Initial concepts developed. September 2018: Three (3) draft conceptual options finalized. November 2018: Project on hold to ensure adequate funds will be available for 3 priority sites scheduled for construction in 2019. Also, additional time is needed for stakeholder review of the conceptual options and to resolve site specific challenges and competing interests in the project area. November 2017: project allocated to consultant. December 2017: commenced with draft site analysis and established a site safe plan. January 2018: commenced collection of data and background study of site contamination mitigation measures. January 2018: adjusted project work schedule, milestones for design and regulatory approvals set for 2018, boat ramp construction set for 2019. February 2018: Design of site access off Ogden Road is finalized, cost estimate is pending. November 2018: Construction of concrete apron for site access completed. November 2018: Boat ramp’s application submitted for Water Act regulatory review.